Biography: David Erdal has worked for over 20 years in transferring ownership of companies to all their employees. As chairman of Tullis Russell, the paper manufacturing company based in Scotland, he designed and led their employee buyout, completed in 1994. From 2001 he was MD of Baxi Partnership, a fund aimed at structuring and financing all-employee buyouts. In this capacity he helped Loch Fyne Oysters become wholly employee-owned in April 2003. Recognising that the story was worth telling, he stepped back to write the book LOCAL HEROES. He has also worked with other employee-owned companies, and given advice on employee ownership in several countries, including Slovenia, Zimbabwe and China. He has a BA in Chinese from Oxford (1970), an MBA from Harvard (1981) and a PhD from St Andrews (2000). He lives in Scotland. A book for our times. Offering inspiration and vision in the wake of the financial meltdown, it is the story of ordinary people who share the ownership of the businesses where they work. 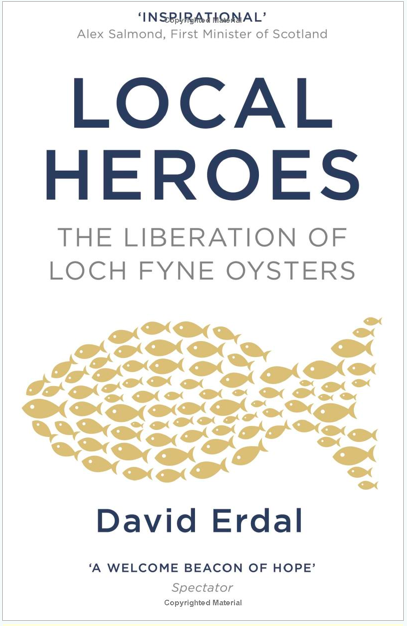 Employee ownership specialist David Erdal tells the story of seafood company Loch Fyne Oysters: built by an assortment of colourful characters and vulnerable to attack when its founder and major shareholder died, it was rescued into employee ownership.